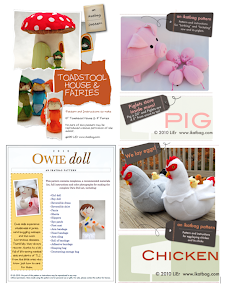 I have more Menagerie critters for you! Another bird today - a big one this time. 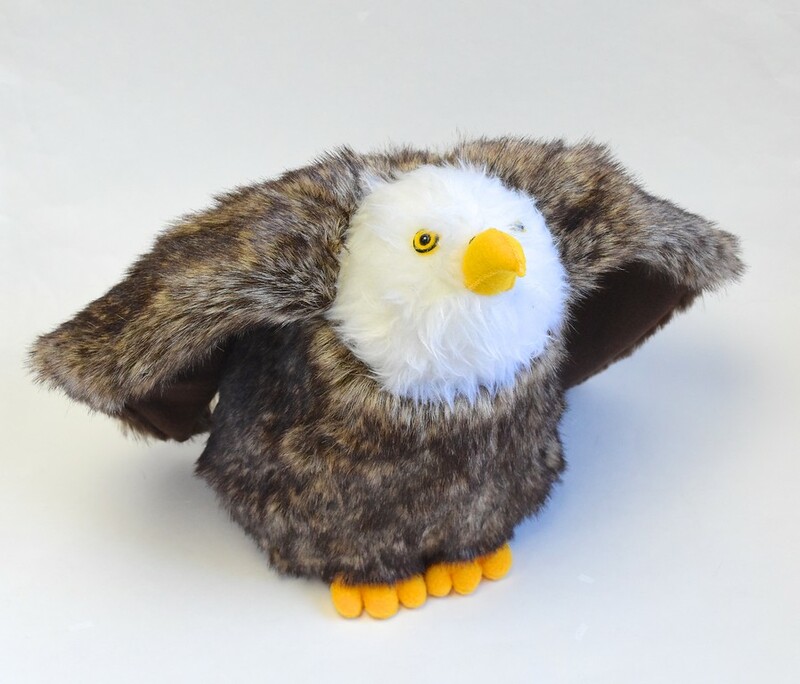 Unlike the little Robin from this post, this Bald Eagle was made from the full-size Menagerie base pattern. 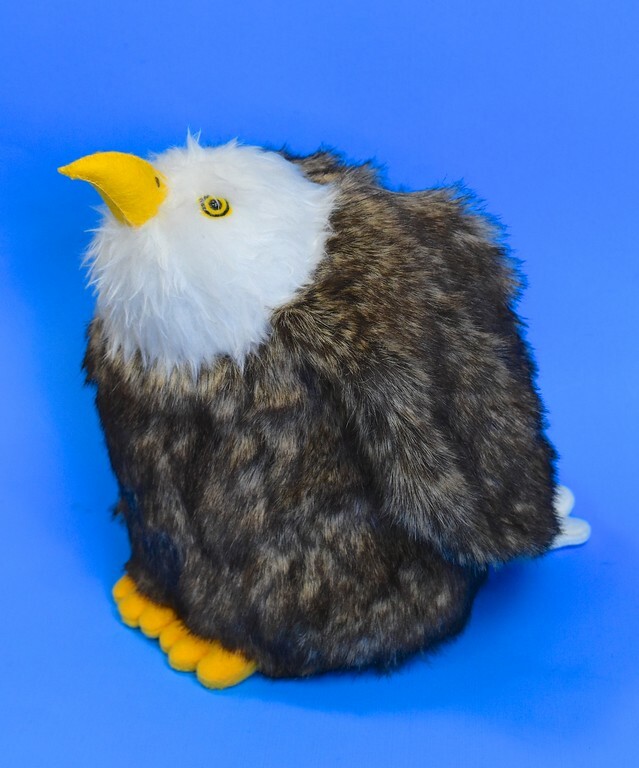 Confession: I was somewhat hesitant to make an eagle, and a bald eagle at that, because it's the national animal of this country and an important symbol and such. But beyond that, I felt about this guy the way I felt about the Dragon in the first season of Menagerie: you just don't mess about with creatures of that stature, because what if you inadvertently made him cuddly and cutesy when in reality he's anything but? So I hummed and hawed and made other animals instead, but I kept coming back to him. And toward the end of the shortlisting process, when I was down to the last two or three choices, I decided I'd go for it. Very relieved that he emerged not at all cutesy and cuddly (well, maybe a bit cuddly). 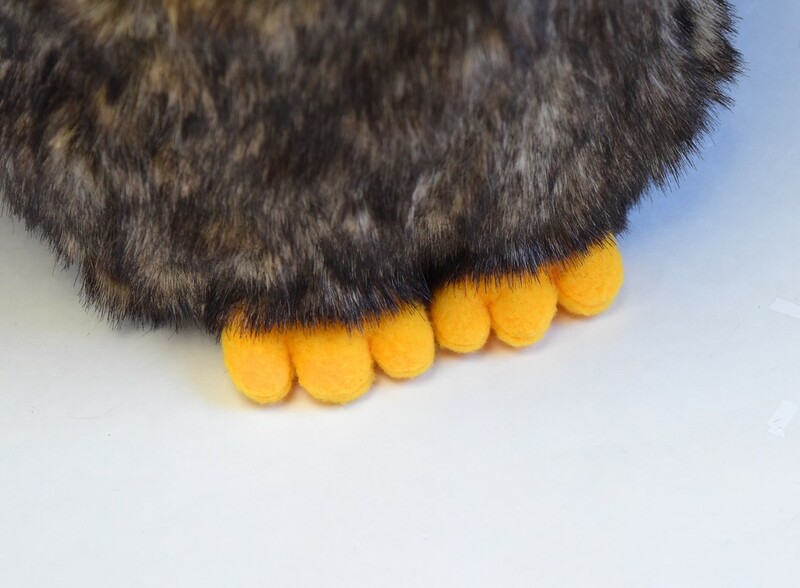 and (if you own the Menagerie pattern) the Peacock's feet. 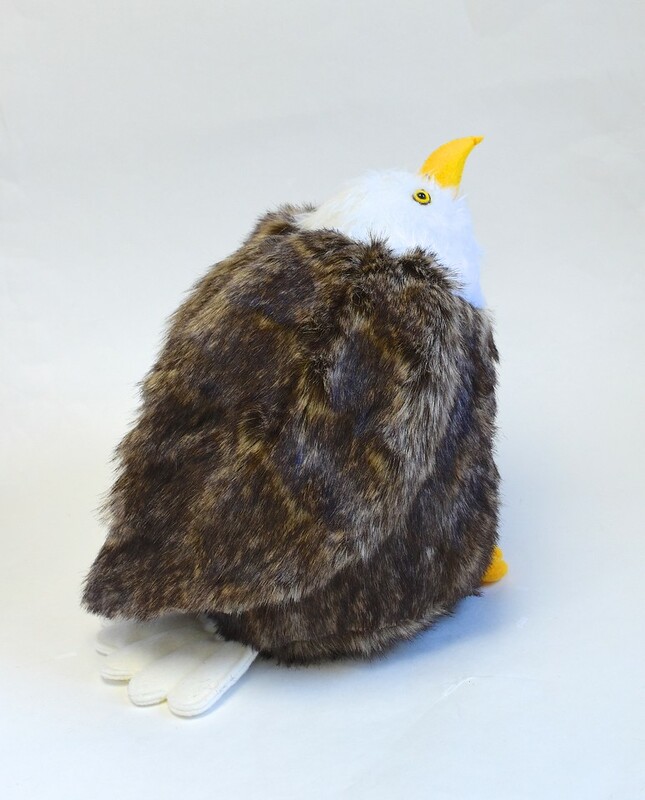 the wings can be propped away from the body in quite a realistic manner. 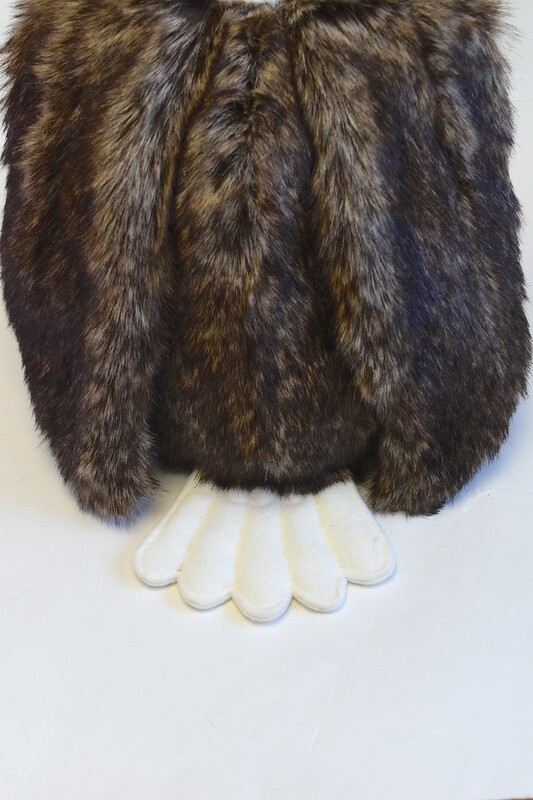 I lined my wings with a coordinating dark brown fleece (instead of more of the faux fur) to reduce bulk where the finished wing (plus the seam allowance of the darts) inserts into the neck seam. 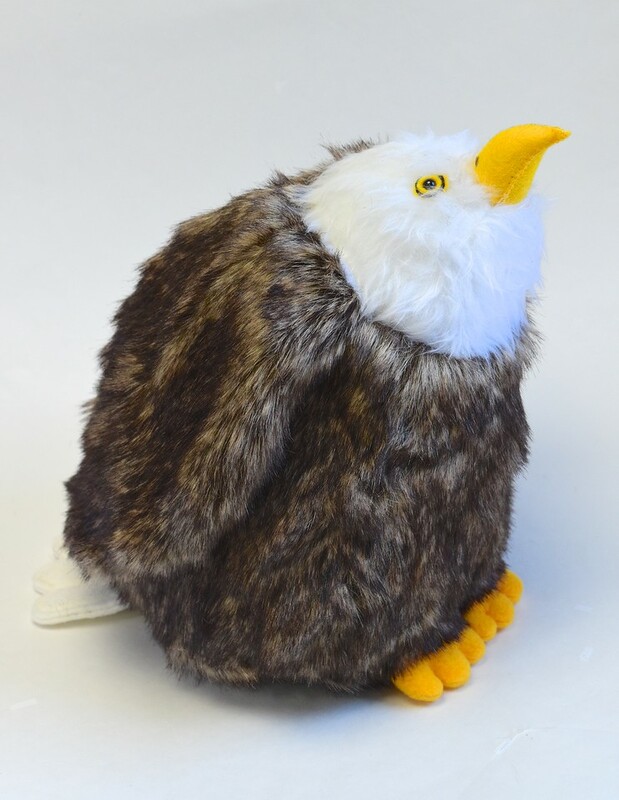 Let's talk about all the fur in this Eagle. Bird feathers are multi-layered, which produces a lot of wonderful texture - something everyone is vaguely aware of but can only fully appreciate when one has to render that in flat fabric. In the next post, I used layers of fabric to create that texture, but for this prototype, I used the fibers of the fur itself. 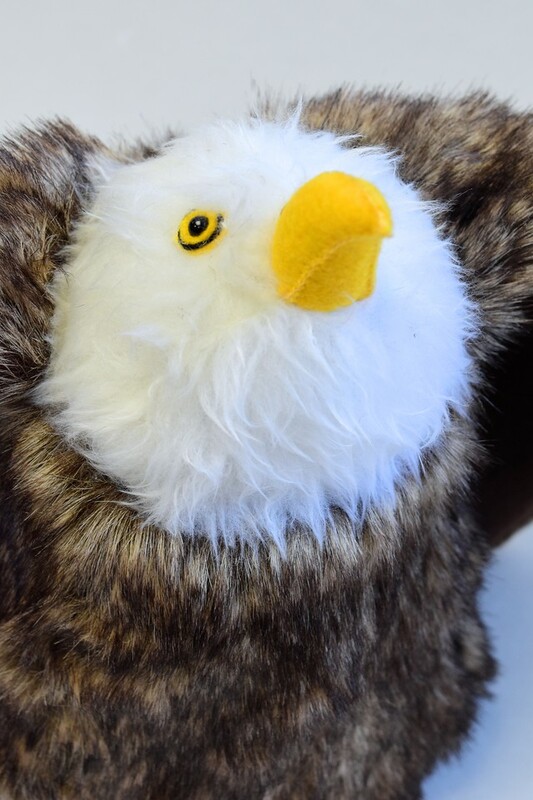 Here's a closeup shot, showing where "feathers" of the Eagle's head overlap those of the body at the neck. It's entirely possible to create a stylized version of that as a neck frill when I work with bald fabric, as I've done with my chickens here and here. 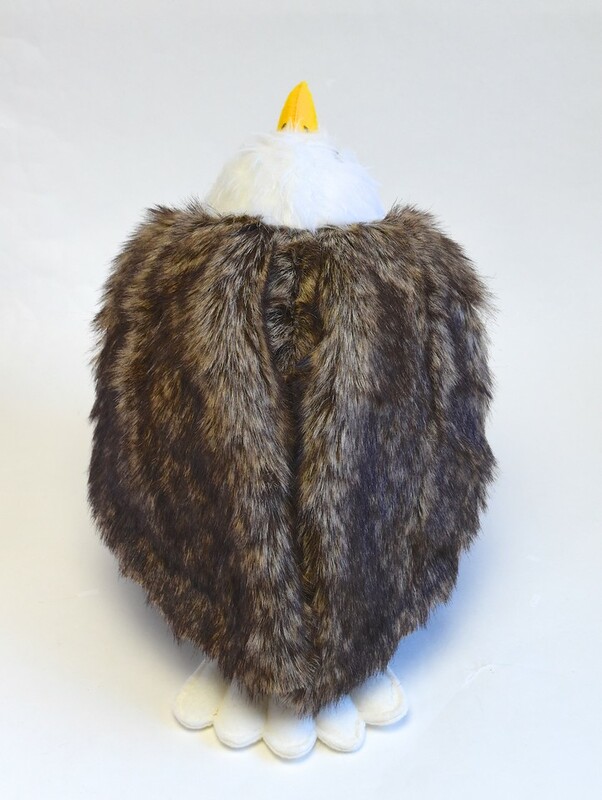 For this prototype, however, I wanted to experiment with faux fur to create effects like the fake-feather-overlay at the neck, and the hunch of the shoulders around the head. I really like what the fur added to the design. 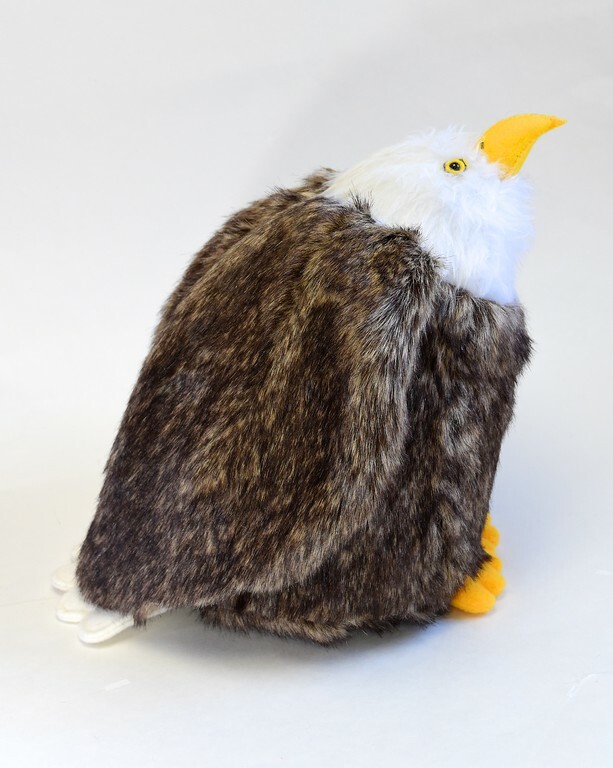 Of all the Eagle's features, the most challenging were the eyes. As always with stuffed animals, the face is the thing that's most important to get right. 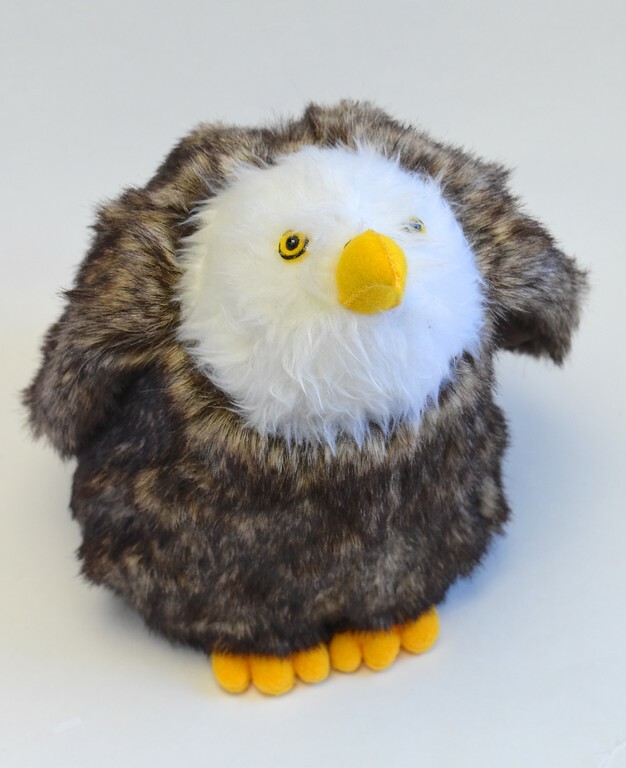 And as earlier mentioned, Eagles are like Dragons - they are by nature more majestic than cute. 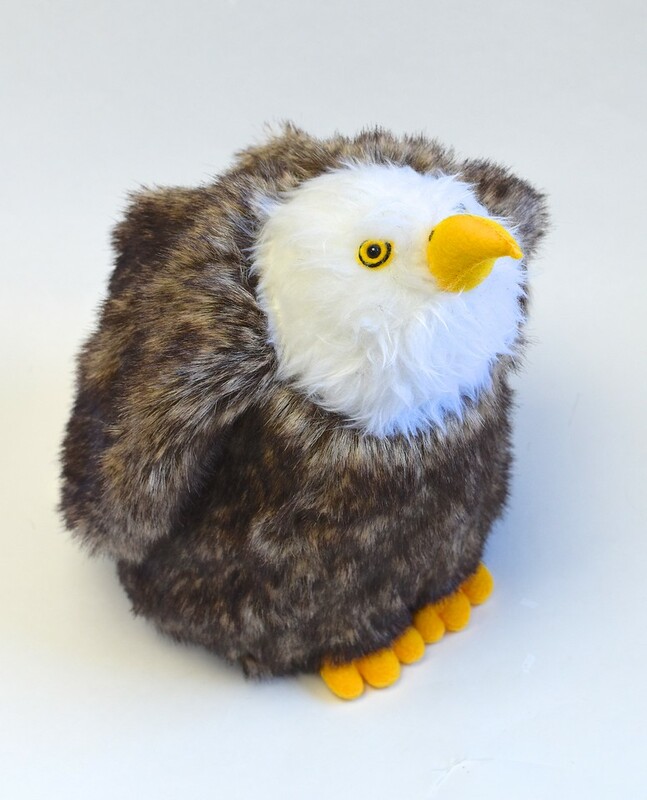 So their gaze has to be appropriately solemn and intimidating (but not scary, because who likes a creepy, spooky toy?). 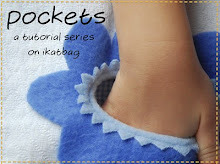 So much fun to make, and a much quicker sew than it might look. 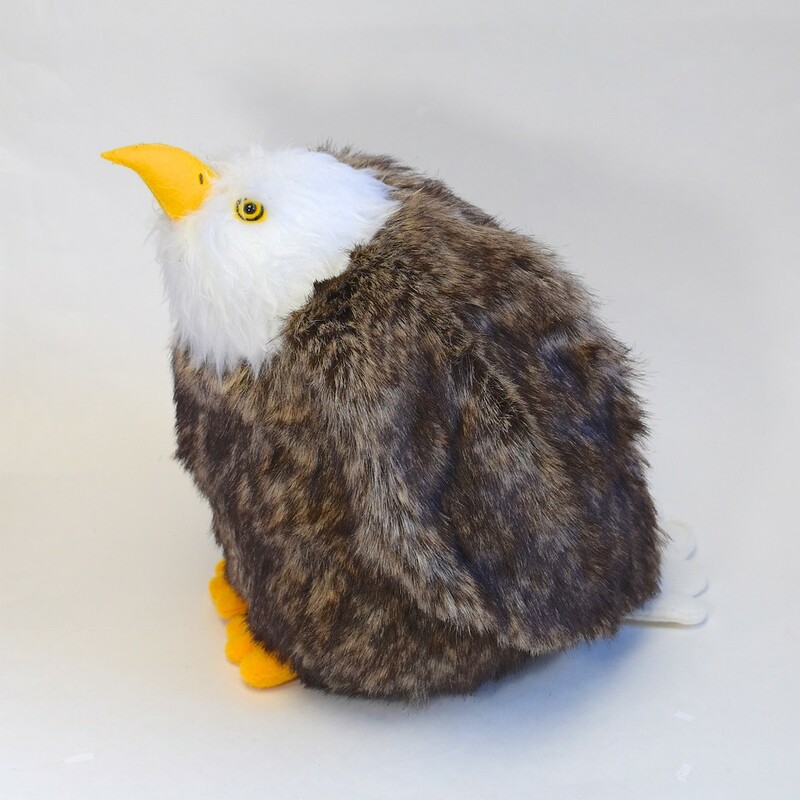 This Eagle looks so lifelike!! That fur sure looks like feathers to me. Congratulations on making such a realistic-looking raptor. 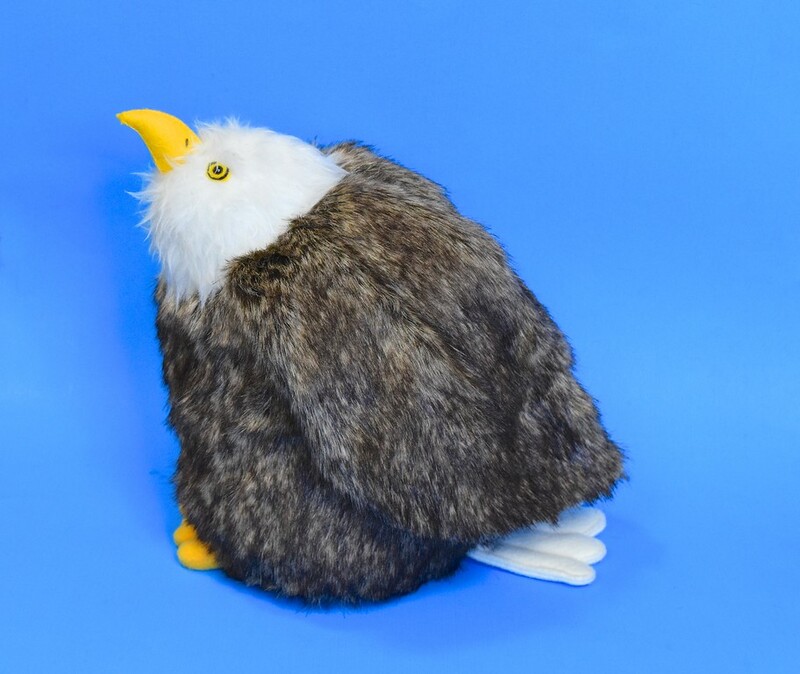 Who also seems to need a little bit of a cuddle so his hackles will relax.